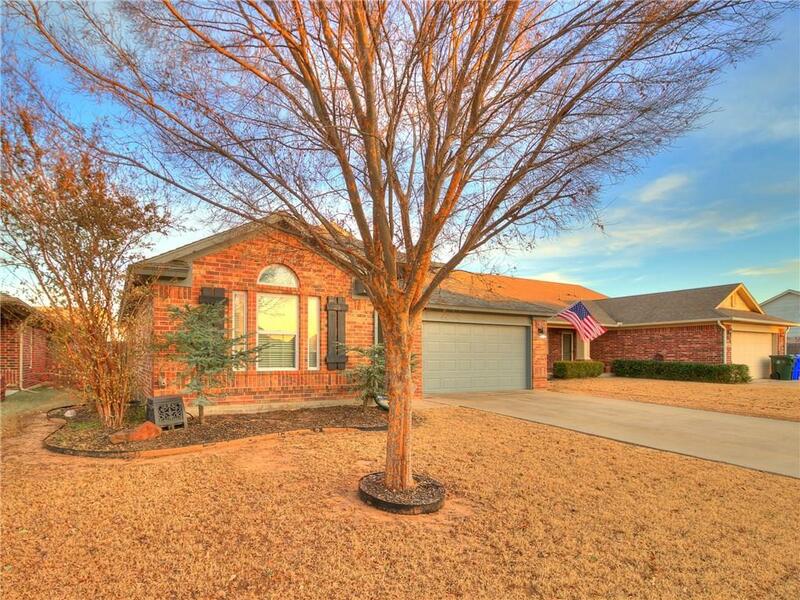 Charming home in sought after area conveniently located near schools and parks. This split bedroom home offers spacious bedrooms each with a walk in closet! You'll appreciate newer wall paint and new trim paint inside and out. All lighting throughout has been upgraded to LED including kitchen under cabinet and pantry lighting with color change feature and remote. Keep your family safe with a top of the line above ground Oz storm shelter, originally purchased for $8,000. Roof replaced in 2011 with 150 mph shingles and upgraded blue synthetic underlay. Spacious garage has recently been painted and boasts a Rust-Oleum Epoxy shield flooring and a new Guardian belt driven garage door opener for extra quiet operation. No need to worry about wall mounts since each bedroom will be ready for your televisions. Both refrigerator and Nighthawk Surveillance System featuring 6 cameras will remain in the home with a full price offer. Perfect starter home or a University student.